MCR Safety's headgear and face shields offer superior protection from liquid splashes and flying debris that would otherwise be damaging to the face. An assortment of brackets and face shield sizes and materials make it a good bet that you can find an option just right for you. 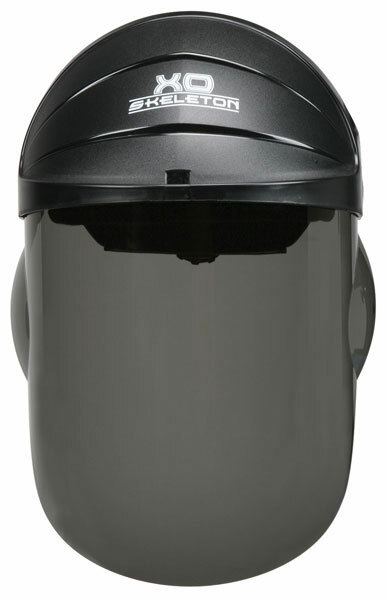 The 105 XO Skeleton features an integrated one piece molded polycarbonate face shield providing better optical quality. A ratchet action adjustment with terrycloth sweatband provides both a precise fit and maximum comfort. Retail package.